In India 5th September is celebrated as Teaches` Day as a mark of tribute to the contribution made by teachers to the society. 5th September is the birthday of a great teacher Dr. Sarvapalli Radhakrishnan, who was a staunch believer of education, and was the well-known diplomat, scholar, President of India and above all a Teacher. When Dr. Radhakrishnan became the President of India in 1962, he was approached by some of his students and friends and requested him to allow them to celebrate 5th September, his "Birthday". 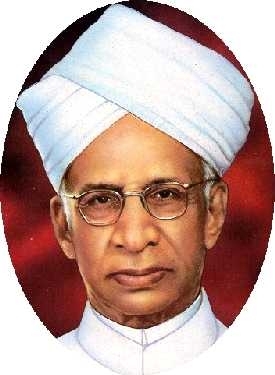 In reply, Dr.Radhakrishnan said, "Instead of celebrating my birthday separately, it would be my proud privilege if September 5 is observed as Teachers` Day". The request showed Dr.Radhakrishnan`s love for the teaching profession. 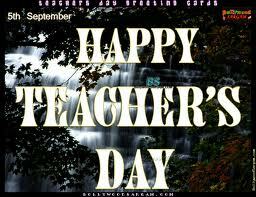 From then onwards, the day has been observed as Teachers` Day in India. Teachers mold the lives that they influence because the lessons learned from teachers remain with their students throughout life. We should always respect our teachers. Teachers need encouragement and support from the community to feel that their devotion to students is appreciated. Apart from the fun aspect of the day it is also a day when one can look back, admire and get inspired by Dr. Radhakrishnan, a small town cunning boy, who grew up to become one of the most respected politicians in the history of democracy of India. Teachers` Day is now one of the occasions that is looked forward by the teachers and students alike as on this occasion its not only when teachers are praised but also around various schools students dress up as a representation of their teachers and take various lectures that are assigned to the teachers they represent. As the day passes the students perform the regular activities that are performed by the teachers. On this day students realize what it means to be a teacher and what it means to control the future of several students in their classes and also teachers are reminded what it felt like when they were the students. Teachers` Days are intended to be special days for the appreciation of teachers, and may include celebrations to honor them for their special contributions in a particular field area, or the community in general. For students, Teacher`s Day is an occasion to pay reverence and gratitude to teachers for their selfless effort in shaping their career and enriching the education system in the process. All of us have been students at some stage of our life and have benefited from our teachers. Celebration of Teacher`s Day is a wonderful opportunity especially for all of us to show our gratitude and appreciation to our teachers.